Wallpapers of the funny story Toradora! The background is colored in different values. The letters in the title in vectors. so colourful! very nice...I love this anime! Great wallie! i really love Toradora! the bright colours are so pretty! i ttally agree ..............Great wallie! 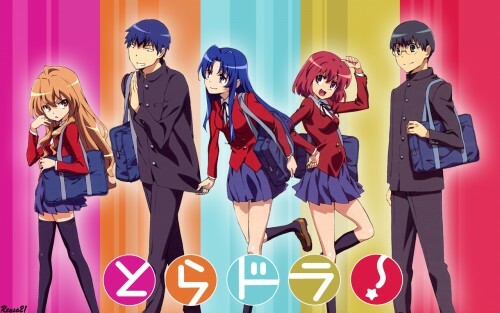 i really love Toradora! the bright colours are so pretty!